FOX Sports features the best and latest in the automotive world on its new show, Full Throttle, to premiere on September 8, 2016. 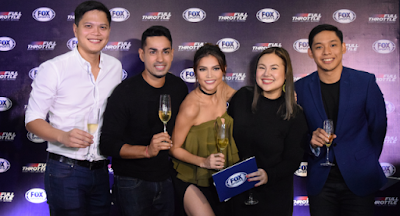 Gearheads and car enthusiasts of all levels can tune in to the network Thursdays at 9:30 PM for Fox Sports channel to catch the explosive launch of the channel’s newest automotive lifestyle show, presented by charismatic hosts Sam YG and Rhian Ramos. Episodes will likewise be available via linear streaming and subscription video on demand through the respective channels OTT platforms. Combining in-depth features on the fascinating world of automotive and crazy reality segments, Full Throttle promises to both cater to die-hard motor fans and entertain the general public. Program highlights of the show include regular car reviews, spotlights on popular automotive suppliers and dealers, huge celebrity guests, and a generous dash of insane challenges and segments performed and filmed over land, sea and air to make a thrilling yet informative series. Sam YG and Rhian Ramos are both popular celebrities and hosts, but they also have the advantage of being rabid motorheads and loving all things that have to do with cars. Sam YG enjoys a huge fanbase for his part in Boy’s Night Out, one of the most popular radio shows in the country, while Rhian Ramos has gained widespread fame by starring in highly successful television dramas and films. Their passion for and experience with cars make them the perfect combo to present the most exciting automotive content, while their fiercely competitive natures make for an electrifying dynamic that will keep viewers glued to the screen. Add this to the pair’s massive respective followings, and you get a show that speaks directly to the automotive purists while keeping things on edge and highly entertaining. To stay updated in the automotive world and discover its fascinating features, all gearheads, car lovers and thrill seekers should catch Full Throttle starting this September on the FOX Sports!